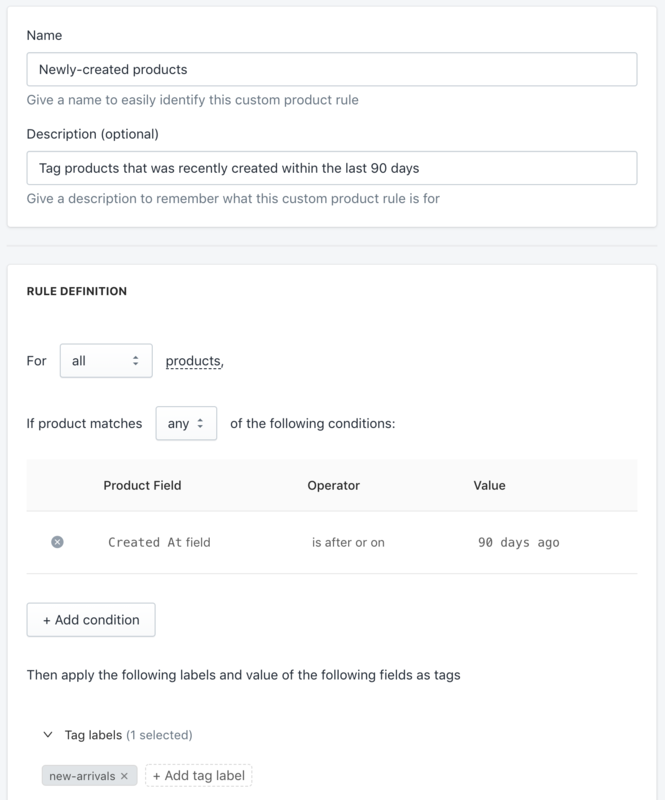 With Smart Tags' Custom Product Rule, you can use a product's Created At date field to automatically tag it with 'new-arrival' tag label if the product was created within a specified range, for example 90 days ago. If the product's Created At date is no longer within the specified range, the tag will automatically be removed the next time Smart Tags process it. You can modify the following steps to fit your business needs by changing the specified date range or by using Published At date field instead, for example. Specify the tag labels that you want to be applied if the product matches the above rule, for e.g: "new-arrivals"